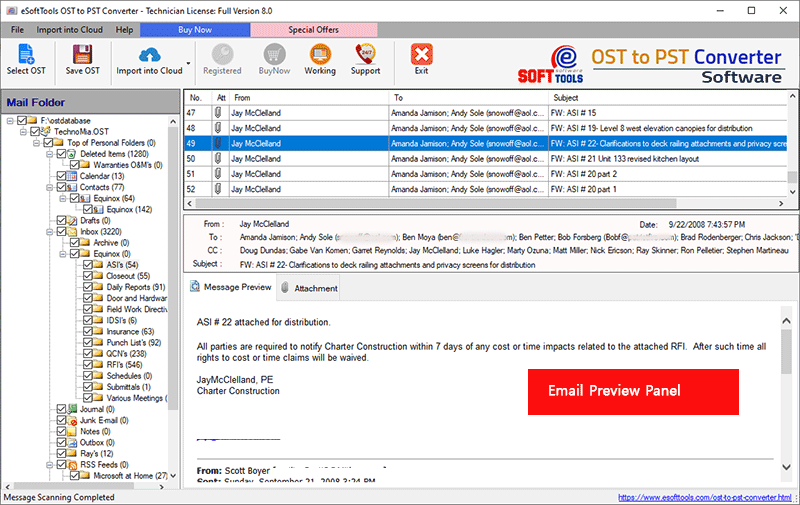 Outlook OST to PST Recovery assistances users to recuperate emails from offline OST file and recover emails from OST file to PST Outlook file with emails and attachments. 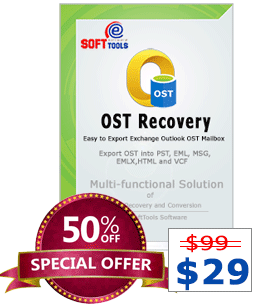 Outlook OST Recovery Software supports to recover OST to PST, EML, MSG, HTML, vCard and EMLX file.. Recover OST file emails with Attachments, Contact, Calendar, Notes, Tasks, Journals items. 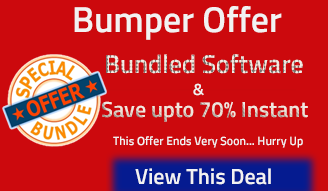 Keep data integrity, hierarchy and formatting unchanged after OST Recovery & OST conversion. Extract and Recover OST emails & attachments from corrupted or damaged OST file. Supports to recover deleted folder items of OST file to PST file. Export OST Contact - Our OST Recovery software has ability to export OST contact to vCard (*.vcf) directly. Allows to recover OST to PST, EML, MSG, HTML, vCard and EMLX. Availability to Convert/Recover selected OST folder. Advance OST to PST Recovery Software is successive program having easy steps, specially designed to recover corrupted, damaged OST file and recover OST file to PST Outlook file. OST file recovery software allow users to convert selective single or multiple folders into PST, EML, MSG, HTML, EMLX and vCard format with Emails (including attachments), Contacts, Calendars, Notes, Tasks, Journals etc..
OST Recovery Software endues best facility to users to select folders from recovery ost file and promptly convert into multiple formats. This feature help users to safe precious time and recover only needed folders from OST file to PST, EML, EMLX, MSG, HTML and vCard file. Users encrypt OST file to preserve their significant details on secure from unauthorized access. Occasionally you may experience an error "that is not an outlook data file" when tried to open encrypted outlook OST file. In such situation, you may lost access to your OST file. To solve this program use eSoftTools OST Recovery Software to fix encrypted OST file and recover OST to PST Outlook file easily. OST Recovery to PST Software recovers the mailbox data without making changes in structure or formatting of outlook OST file. Each email messages is recovered with their original properties such as- From, To, Bcc, Cc, Time, and Subjects with also maintains data integrity. OST file recovery software is best conversion program which easily perform to recover OST file (largest) and convert OST file items into several formats such as- OST to PST, EML, EMLX, MSG, HTML and vCard. To install eSoftTools OST Recovery Tool, there are no requirements of installing MS Outlook application on computer because newely updated version software removes the dependency of MS Outlook to perform the task for OST to PST Recovery and OST to PST conversion. Download eSoftTools OST Recovery to PST Software & Try it..
Demo Restrictions - For evaluation, we offer demo version software which freely recover corrupt ost file and allows to convert 15 items from every folder of Outlook OST to PST, EML, EMLX, MSG, HTML and vCard file. Software Ready to Recover OST File to PST File. Do I recover "Deleted Folder Items" from my corrupted OST file to PST Outlook using software? 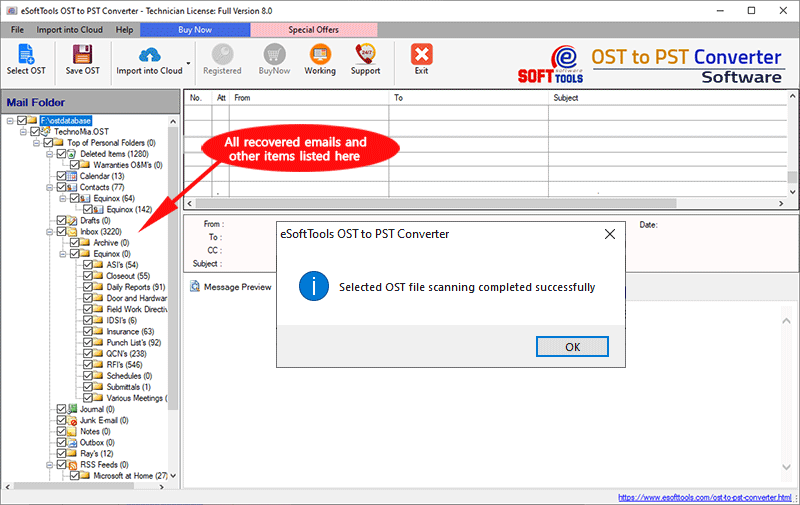 Yes, eSoftTools OST Recovery to PST Software perfectly supports “Deleted Folders Items” for recovery emails from damaged OST file to healthy outlook PST File or other formats. What to do for selective folders recovery from OST file using your OST Recovery Software? Don’t need to put any extra efforts.. Select the folders from software left panel and marked check and after that you can convert all the selected folders into PST, EML, MSG, EMLX, vCard and HTML file format. What type of format does OST Recovery Software give to restore the recovered OST files? 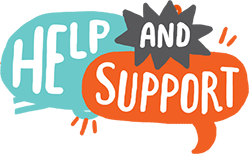 The OST Recovery to PST Software provides several conversion formats such as- New PST File, EML, MSG, HTML, EMLX and vCard format to recover OST file. Do I need to install MS Outlook application or Exchange Server to recover OST file to PST Outlook file? 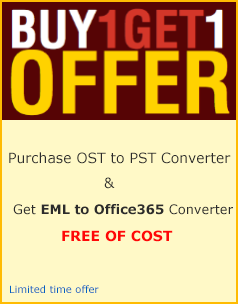 No, neither you need to install MS Outlook nor Exchange Server on machine to convert data of offline OST file to PST file. Does software gives any size limitation on OST file for conversion? No, eSoftTools Recover OST to PST software doesn’t gives any size limitation on OST file recovery, you can add unlimited size of OST file for making conversion into PST or other formats. 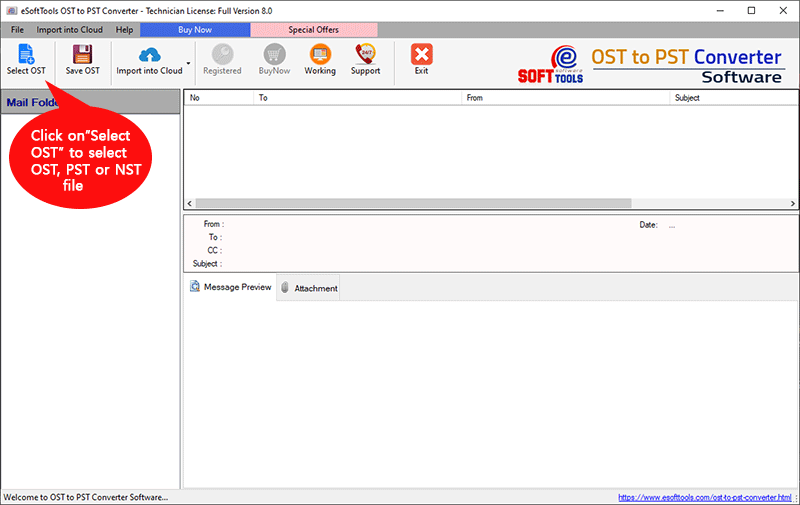 Thanks a lot for providing the best OST to PST recovery Software that helped me to take out all emails from offline OST file and converted into Outlook PST file. thank you so much.. really a nice ost to pst recovery performer application.